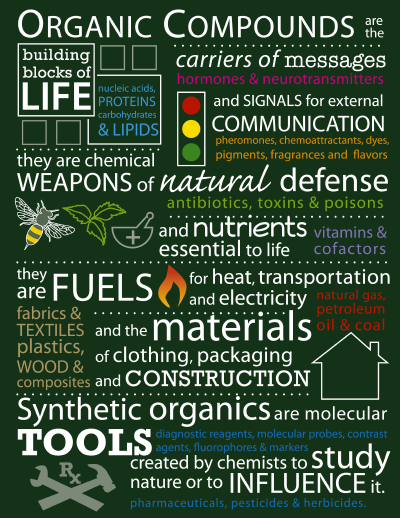 Professor Moore of the University of Illinois Urbana-Champaign, told us to explore the sciences of our everyday life. So, as I was recounting in my head what I do on a daily basis, I naturally got distracted by my facebook. As I was browsing through it, one of the posts on my home page was about coffee, because I “like” caffeine as a part of my facebook account. Then I came across the realization, that I consume large amounts of caffeine on a daily basis. My father always drank coffee growing up and so did both of my grandfathers, so to me, drinking coffee was a natural progression. Coffee has helped me out in a variety of ways throughout my life and since I am an athlete sometimes a burst of caffeine can really mean the difference in work outs and during races. But I never really knew why or how caffeine supplements give such high bursts of energy until I started doing some research about the topic. In the post they talked about how caffeine can improve exercise performance and that it increases your heart rate. Their study focused on twelve well-trained and familiarized male cyclists, who were caffeine consumers. This sparked my interest, but I felt like more information was out there to explore that would help me better understand the effects of caffeine. What does it mean to “significantly improve exercise performance” and how did they record work out efficiency? What data did they obtain and what processes did they do to establish these claims? by Christopher Irwin et al. After glancing over the abstract supplied by the authors I knew this had to be the article that was mentioned on my facebook home wall. I thoroughly enjoy spending my time at coffee shops, specifically Starbucks because I am a Gold Member. I am actually currently at one while writing this blog because here I am prevented from all distractions, can turn on some Bon Iver, get in my study zone, and of course drink some iced coffee. I feel very at home here and reading more about the article enhances my experience here. A combination of all these factors: facebook, caffeine, starbucks, and my personal life all helped me determine to write this blog based on this article. As you can tell by the data, the caffeine-caffeine group had faster workouts, a greater average power output, an increase in average heart rate, and their rating of their perceived exertion was exactly the same as compared to the other three groups. This set of data supports their hypothesis of after having caffeine withdrawal for four days then taking caffeine supplements can enhance your work outs by about two minutes. And to a competitive runner or cyclist those two minutes could mean everything in a race. I know personally I have come within reach of catching people in front of me, only to come up short on energy. After reading this article I am going to start incorporating more caffeine supplements before competitions. 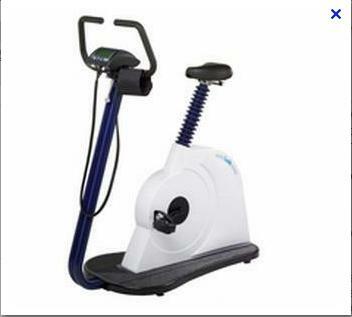 The electromagnetically braked cycle ergometer allows for direct quantification of the work rate performed and can be controlled by a computer. This feature allows work rate to be incremented continuously. The ergometers are built so that minor changes in work rate between pedaling cycles is not detectable, but only when there are major changes in pedaling rate then it would lead to detectable changes. These changes elicit a physiological response and are recorded. I also wanted to learn a bit more about VO2 max. 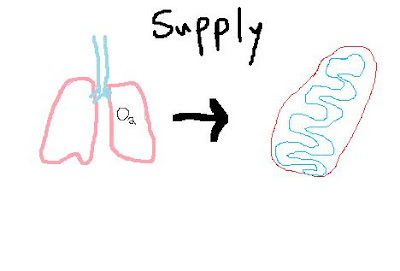 It turns out that VO2 is divided into supply and demand factors. The supply portion is the transport of oxygen from the lungs to the mitochondria. The demand portion, on the other hand, is the rate at which the mitochondria can reduce oxygen in the process of oxidative phosphorylation. Oxidative phosphorylation is a metabolic pathway the captures the energy released from nutrients that are oxidized and produce adenosine triphosphate (ATP). Upon completing this research I have a better understanding of the benefits of caffeine supplements for work outs, the machinery that was used to determine VO2 max, and the process of VO2 max in the body. I am definitely no professional or expert by any means on these topics covered, but instead I hope you now understand the benefits of the boundless thicket because it is a wealth of information covering varying topics. Some interesting things I came across while doing my research was that there were other articles on caffeine usage for competitions. One of the articles was a debate on caffeine doping before races and that it should be tested! This is crazy to me because caffeine can come in many sources and should not be restricted. Through all this complaining, we may see the creation of a planned diet created by a committee that you can only eat if you wish to compete in elite competitions like the Olympics. Another interesting article I found was about taking caffeine supplements before a shot put competition and in that study it was also found that caffeine can enhance your performance if taken about sixty minutes before your throws occur. This intrigues me because caffeine use can then expand beyond running work outs which uses continuous muscle usage, and then it can also be used for short bursts of energy. For any additional information please review the list of resources at the bottom. Tyler, your blog was very interesting and surely many coffee consumers would love to read it. However, I wonder how much caffeine was in the capsules that the participants from the study mentioned consumed? Was it significantly high or would you see the same results by just drinking 1 or 2 cups of coffee? Also, I think that many people would like to see if drinking so much caffeine is associated with any side effects. WOuld have been great if you could have provided a study or so showing the effects of caffeine on our body. I guess your blog would have been too long then. However, over all great results! I loved the drawings in this post and I am sure the topic is one that is near to hearts of all undergrads. I would be curious to find out the mg percent of caffeine that the pills contained to get a sense of relevance to results that were published. You mention at the end that throwers take pills for better results. I find myself at all loss to appreciate how caffeine and its relationship with short term energy bursts as the study shown was for power over an average of time. So that topic would be worth looking into. Overall it was a well put together post and I enjoyed the conclusion. Tyler, thank you for the interesting topic. I am a regular coffee drinker and also a runner. This was very beneficial to me in terms of daily activities. I had no idea that caffeine had such impact on our exercise performance. When there is days that I don't drink coffee my metabolism slows down and I became very lazy. I think coffee helps us in performing better but I am scared if there is any side effect to consuming such amounts of caffeine. Also, in one article that I read on yahoo, it said that caffeine helps us in reducing our daily stress. Do you think that being less stressed also has an impact on how well you perform while exercising. I think I see a relationship here. This would be a new topic to search, though. But overall very well done! This article captured my attention because I also enjoy coffee and often use it to boost my exercise performance. I was a bit confused on your analysis of the main study you looked at though. From my perspective, it looked like caffeine had a small, possibly negligible (statistically insignificant)effect on the exercise performance. And I was under the impression that the time of the workout was measuring when they actually were too exhausted to continue (since it was a VO2 max test), which would mean caffeine negatively impacts performance. But I could be wrong in this analysis. I particularly enjoyed your concluding paragraph. You brought up a lot of interesting points/ideas that I had never thought of. For instance, if caffeine is a performance enhancer, then where can officials of events draw the line as to what is legal and what isn't? And how could future research affect this view of caffeine? Anyway, very thought provoking article indeed.